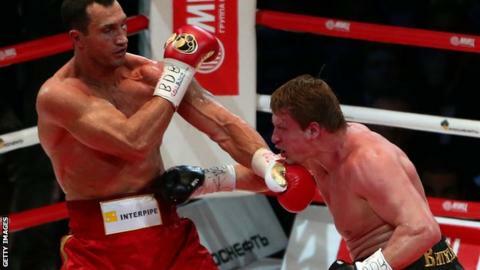 Russian heavyweight Alexander Povetkin has been banned indefinitely after failing a second drug test in a year. His interim world title bout against Bermane Stiverne in December was cancelled after he tested positive for the banned muscle-builder ostarine. That came after he tested positive for meldonium before a WBC world title fight against Deontay Wilder last May. The ban is only for bouts sanctioned by the World Boxing Council, which has also fined him $250,000 (£205,000). Povetkin, 37, avoided a sanction after the Wilder fight was cancelled as he said he had stopped taking meldonium in 2015, before it became a banned substance.